This autoresponder email service provider has been around since 1998 and anyone who is doing email marketing or thinking about doing email marketing, should consider putting Aweber on their list of potential service providers. 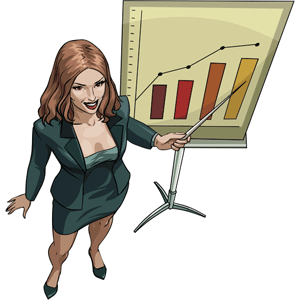 They have a vested interest in helping online marketers succeed. For years, Aweber has been primarily involved in the online marketing industry as they often answer questions on forums, they have great support and they have a lot of great training videos. Aweber pricing starts at $19 per month, and it goes up from there depending on how many subscribers you have. The autoresponder GetResponse entered the email service provider scene in 1999. (A year after Aweber) Today, it’s still a major player in the autoresponder market and is popular with the larger list owners and by professional companys’. Almost anyone can use GetResponse People from marketers to authors to business owners. One thing that sets them apart from many other service providers is that it’s (like Aweber) affiliate marketing friendly. If you’re an affiliate marketer, then you’ll definitely want to put GetResponse on your list of potential email autoresponder providers. Pricing starts at $15 for basic accounts and $49 for Pro accounts. While Get Response is in the middle of the pack when it comes to overal pricing, it’s on the low end when it comes to a larger number of subscribers and the higher end of the pricing range when it comes to low volume subscribers (but still cheaper than Aweber) As shown above from the selection of autoresponders we’ve reviewed. Most people put off listing building, or avoid setting up an autoresponder, because they fear the complexity of dealing with all the technical aspects involved. But really there is nothing too complicated at all, if you know what you are doing. If you want to learn how to build an email subscribers list from scratch, learn how to set up an autoresponder and get it working to your advantage, then my number ONE recommendation is for you to get my easy 20-step list building plan, which I’ve called – List Know How. Best of all, its yours for under $10.00 (a lot less than TEN Dollars) Take a look at this super low-price video training couse. An autoresponder is an essential tool used for employing a concept known as ‘permission marketing‘. 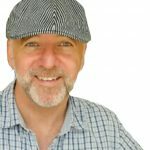 Permission marketing is a non-traditional marketing technique that attempts to sell goods and services with the consent of the reciever given in advance. Opt-in email for example is permission marketing, where users request to receive information about a certain product or a service. Which means you have allowed the potential customer to choose whether or not to be subjected to future emails from you. Supporters of this type of marketing claim it to be an effective and more cost-efficient method of marketing because the targeting audience is easier to convert into further sales. So for anyone thinking employing an autoresponder or about doing email marketing should consider putting Aweber and GetResponse on their list of potential service providers and select the one that best fits their requirements. If you enjoyed this post “Aweber vs Get Response Review” please feel free to share socially or leave a comment below. 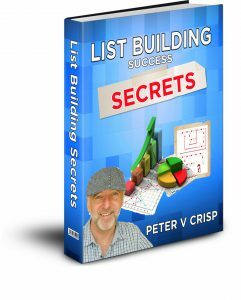 If you leave a comment, I will reward you with a free PDF copy of my book; ‘List Building Success Secrets’. Also available on Amazon. Hi Peter, thanks for this review/comparison. I’ve thought about delving into the email marketing scene and thankfully this post has given me some insight into what we be the best option. Considering both of these services have stood the test of time, it must surely mean that either one of these would be great option. That ultimately means, for me personally, the cheaper one wins meaning get response will likely be the one for. Just out of interest, I’ve noticed that both aren’t free, do you know of any free autoresponders that I could do some testing on before moving onto the best auto responders in the market? Hi Peter! Your Aweber and Getresponse Review is good. My question is do either have a free option for list under 500? I currently use mail chimp because I don’t have a huge list. They offer me a free account for list under 500. I’m at 250 currently. Does Aweber or Getresponse offer similar deals? I haven’t experienced it so much but i would love to know which one you recommend of the two. Hi, Peter and thanks for short two most popular autoresponder reviews. I’ll be honest and admit that not using any of them at the present time. I am in IM almost ten years and since mid-2015 one of thousands of members of WA. I tried to implement Aweber and a couple of other before but unfortunately unsuccessfully. Why? It is mainly because I did not see any activity and considered it as the waste of money. My website and niche today is GPS navigation and related topics, and main organic traffic is from an implementation of right keywords and SEO. I read here and there that e-mail marketing is the must-have part of success in IM. Tell me, please do you have any successful experience or any advice of using, e.g., Aweber when promoting Amazon products. I am just curious how aweber compares to Mail Chimp? Have you had experience with both of these, and which one do you think works best? And is more user friendly? I am just staring to get into using an autoresponder, and quite frankly there are so many out there. I am not sure which one is right for me. I hate to get involved with one, only to decide I don’t like it.